So you have become a Course Director! Congratulations on your selection! As a course director, you assume responsibilities central to the mission of the Renaissance School of Medicine at Stony Brook University. 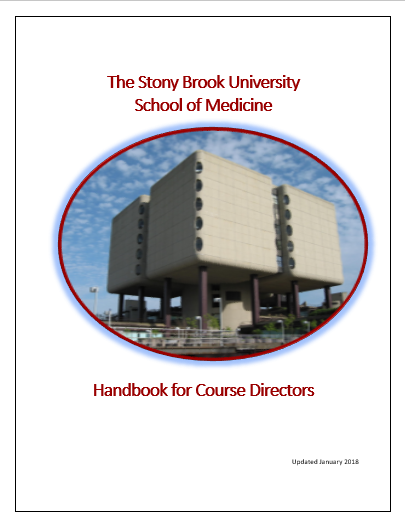 Below is the updated Handbook for Course Directors. The Handbook is designed to help you in your role. Each section reflects a particular aspect of the role of a course director, from an understanding of your role in Renaissance School of Medicine, to where to go for support, to planning and administering a course, to evaluating students. Important topics, including action steps and quick access guides, are highlighted in gray and feature a red heading. Feel free to share the Handbook with your instructors and students as well.